We’re all for staying active as a family, especially as the weather is warming up. And that includes staying active with our pups. We did our best to keep them active with walks and indoor play during the winter, but it doesn’t quite capture the enjoyment of getting outside to play fetch in the spring. Especially when we’re able to add new toys from Chuckit! to make fetch even more fun. We still have some snow on the ground, but we’ve been able to get out in the backyard as it’s been melting to have some fun. And one of our new backyard games is playing with the Chuckit! Ultra Ring. It’s a ton of fun to throw (kind of like a frisbee on a stick!) and Max LOVES chasing after something other than a ball. It’s a ton of fun because of the zig-zagging nature it has after you toss it. While we love these new to us toys, we’re still fans of the traditional Chuckit! launcher with the normal ball. We can get twice the distance (perfect for the dog park!) and get a little more exercise for Max even when we’re trying to pay attention to our other pup who is not much of a toy dog. Chuckit! also has some great amphibious balls that are perfect for days spent at the lake. We haven’t had a chance to test them out yet because the lakes still have ice, but these will be go-tos this summer! We’ll be spending time in the backyard as much as we can with these fun toys this spring. 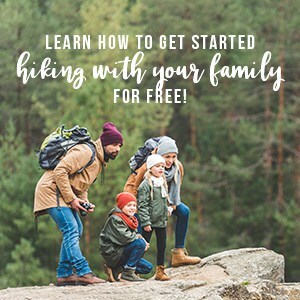 It’s a great way for him to burn off some excess energy and for us to get outside with the whole family! Head over to Chuckit! to learn more about these must-have toys for spring and fetch time!